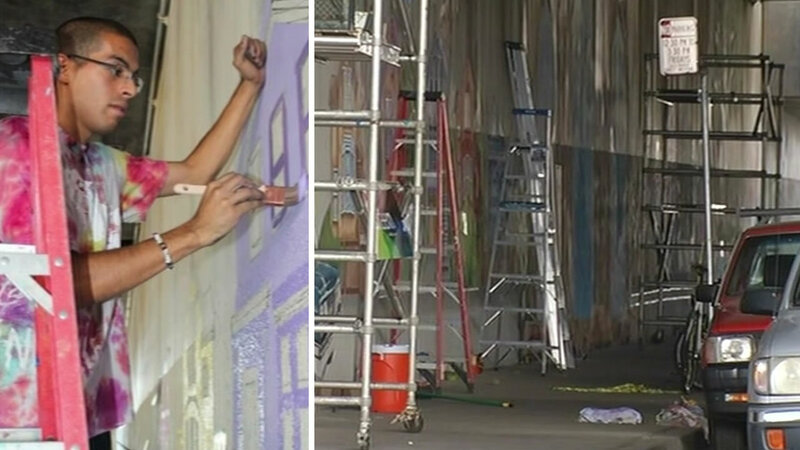 OAKLAND, Calif. (KGO) -- Oakland police asked for the public's help in identifying a person of interest in the fatal shooting of artist Antonio Ramos while he was working on a mural on a highway underpass in West Oakland last week. Police said Ramos, 27, who lived in Emeryville, was shot at the mural site under the Interstate Highway 580 overpass on West Street between 35th and 36th streets at about 10:30 a.m. last Tuesday and was pronounced dead at a hospital a short time later. A man who witnessed the death of a 27-year-old artist who was killed while working on a community mural in West Oakland says there was no argument leading up to the shooting, only the exchange of a few words. Police said a male suspect fled on foot after the shooting and is still at large. Police said today that they're asking the public to help identify and locate a person of interest who is described as a black man in his 20s who's about 6 feet tall with a thin build and a dark complexion. 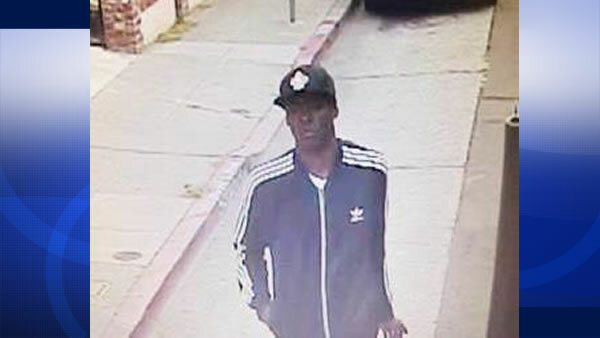 Oakland police have released a photo of the person of interest that they said was taken by a video surveillance camera near the scene of the shooting. 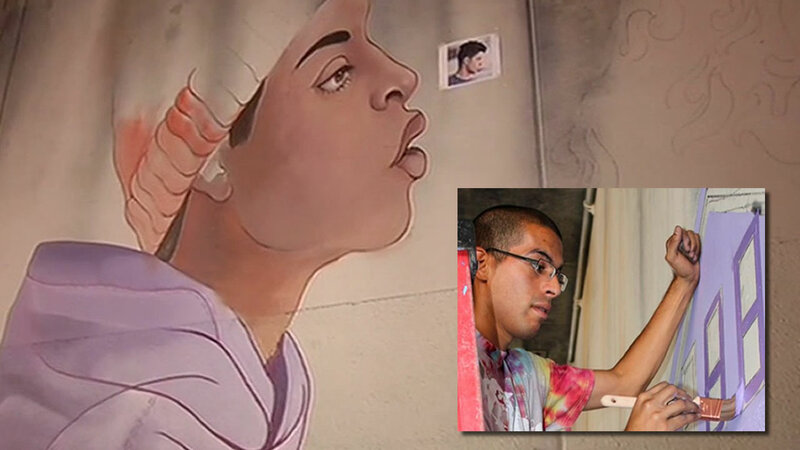 Ramos was a muralist with Art Esteem, the literacy and art arm of Attitudinal Healing Connection, a West Oakland group that seeks to stop violence by inspiring people with art and education. Fellow artists and friends of 27-year-old Antonio Ramos held a candlelight vigil at the spot where he was shot, in front of the mural he was working on. More than 100 people attended a vigil for him at the shooting scene last Wednesday morning. Police said Crime Stoppers of Oakland has offered a reward of up to $10,000 for information leading to an arrest in the case. Oakland police said people who have information about the fatal shooting should call the department's homicide section at (510) 238-3821 or Crime Stoppers of Oakland at (510) 777-8572.